Discussion in 'Hommes' started by lanvinray, Jun 26, 2009. Cute! And judging from this interview, very down to earth and smart! 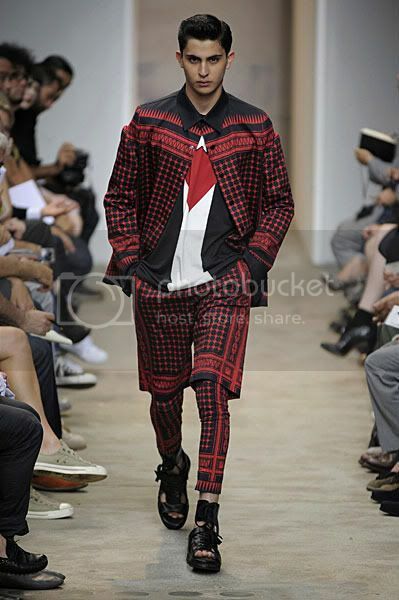 The strongest casting of the menswear season had to be Givenchy’s diverse and eclectic lineup of boys. Led by newcomer Jamil Ramirez, the show stood out as an incredible representation of what a modern runway ought to look like. 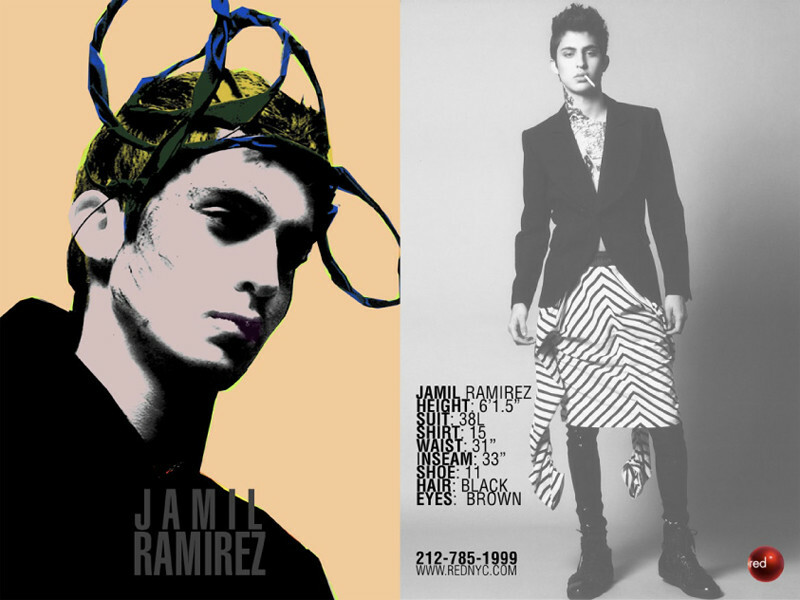 As the standout of the impressive lineup Jamil is riding high on the kinds of buzz that has both clients and model fans talking. 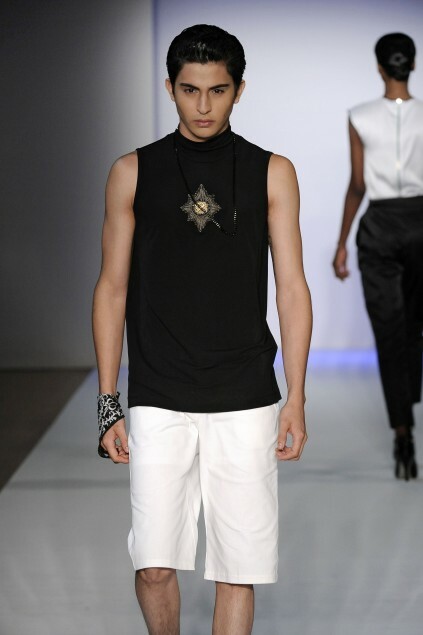 MDC catches up with the intelligent young model / design student to learn how he got his start and what the future holds. MDC: How do you balance going to college with modeling? JAMIL: The castings don’t always accommodate to your schedule and it becomes a matter of not only making yourself available but also managing your priorities. I have to make sure my agent Dave knows what school plans might interfere with modeling so there isn’t any time wasted or opportunities lost. School is definitely at the top of my list but I try to be consistent and reliable professionally, I need to be at castings and jobs on time and if, for whatever reason, I can’t do that, I have to be able to make sure I can contact the people I need to and let them know that. MDC: Your major is illustration and design - when did you start developing an interest in the arts? JAMIL: I was drawing intently by the time I was four years old. There’s personal wonder to drawing that’s always attracted me, it has to do with being able to take something purely imaginary and making it discernible, tangible. In grade school, my mom would come home to find me doodling instead of doing homework and confiscate my paper and pencils. I didn’t develop an interest in the art world until I was much older; building the dexterity to be able to express myself was what kept me motivated. 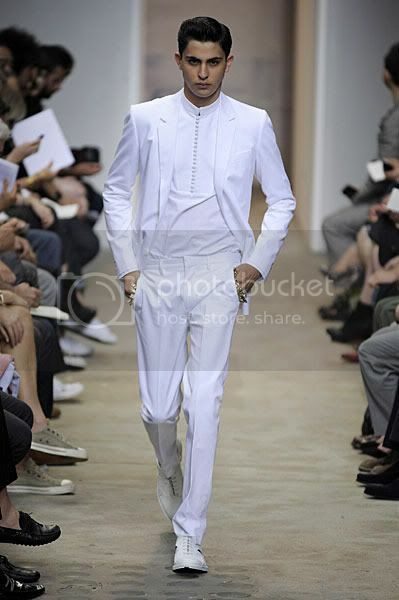 MDC: Since you have an eye for design already, which of the pieces at Givenchy really stood out to you? JAMIL: Let me start by saying that I felt all the pieces were amazing Riccardo Tisci has an incredible eye for design and composition. Getting the opportunity to watch him at work was a pleasure. 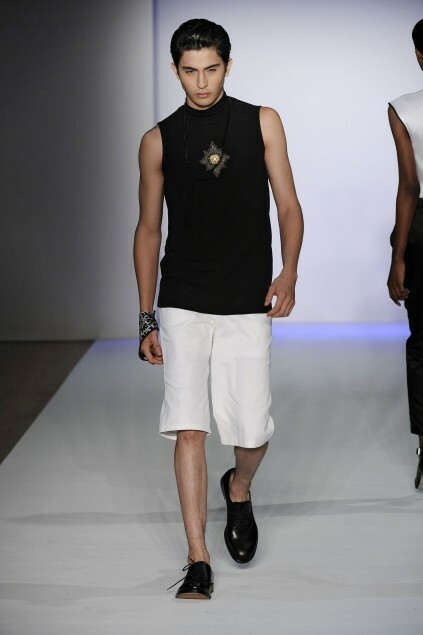 Certain characteristics of some of the ensembles stood out to me; for example, the use of gold stars, black mesh hats, gladiator sandals, hoods, the placement of the designs on the t-shirts, The gold finger rings, all of these components only complimented the articulation of his designs and made for a great show, which I was happy to be a part of. MDC: What have been some unique experiences that you’ve gotten to have since you started modeling? JAMIL: I think the way I was discovered was pretty unique. This seems to be the story with a lot of the guys at Red; I was walking down the street, keeping to myself, when I got approached to come in to the agency. What made it so unique is that I never thought in a million years I’d be cut out for something like this, I still don’t, but it would seem I’ve done ok so far. MDC: Where do you see yourself in a few years? Are there any big plans you have for the future - either with modeling or just in general. JAMIL: I don’t know, honestly, I don’t think about it too much. I certainly have ambitions, I want to do well but there’s a difference between ambitions and expectations. My dad would always say “trust no one, expect nothing, and always be prepared.” A little grim, I know, but I’m constantly reminded that nothing is set in stone. So no plans; for now, I’ll live my life like I always have, staying loyal to what I love without compromising the values I believe in, I feel that’s my safest bet.